Call each company for free quotes. *The rankings expressed on this site are the opinion of SecuritySystems.org and are subject to change due to popularity, price, special offers, current events and other factors related to each ranked company. Our profiles are designed to help consumers make informed purchasing decisions. We accept compensation from profiled companies in order to provide our users with this free valuable service. The two most important factors to consider when choosing a home security system are reliability of equipment and quality of service. 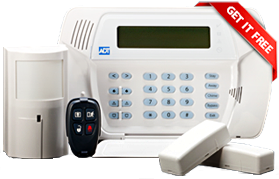 ADT Authorized Premier Provider - Protect Your Home, earns our highest marks for both. Protect Your Home is the number one ADT Authorized Premier Provider in the country, using experienced installation techniques to install your system and delivering exemplary levels of service after installation. Vivint is a relatively new name in the home security system marketplace, but the solutions they provide have been around a while. Vivint used to be known as APX Alarm Security Solutions, but in 2011 they decided to seek investment funding and expand their home security business into the home control market. This has only enhanced their position in home security. Protect America also offers a full range of sensors and detectors. 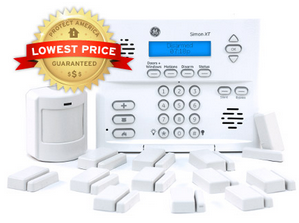 You can add door sensors, window sensors, glass break detectors, smoke detectors, and more to your system, as well. The monitoring service provided by Protect America covers you all day, every day. If a sensor goes off, you have enough time to get to your control panel and enter your code in order to deactivate it.